Winterbrook Estate Agents - News- Join The Great British Gardening Obsession! Join The Great British Gardening Obsession! As the British obsession with garden improvements continues – creating an outdoor ‘room’ as an extension to our home remains a priority quotes Director of Lesters and keen gardener Julian Walley. It seems that home improvements like new kitchens and bathrooms are giving way to sprucing up that extra living, entertainment, relaxation and personal space known as the garden! According to the findings of a study by Santander insurance, Britons spent a staggering £5.2 billon on garden improvements during the summer of 2010 – 2011. This equates to £1,280 per average British garden lover, with the survey estimating the improvements have added an average of £3,300 to the value of their home as a result. Whether you have a cosy courtyard or a generous-sized garden – making the most of any outdoor space could also increase your chances of selling. A few simple and inexpensive tricks will help create a fabulous outdoor room, according to South Oxfordshire Independent estate & letting agents Lesters. - Apply the same tidying rules to the garden as the home if preparing for a viewing. Put away any outdoor toys or tools, and throw away any broken pots or planters. - Spring is the perfect time to show your lawn some tender loving care! Mow the grass and if there are any bare patches, sow some inexpensive grass seed. - Containers or pots with seasonal plants can brighten up a patio or bare patch in the garden. - Invest in some garden furniture for those family BBQs or outside entertaining. - Get the professional look! A quick and easy trick to create a great look is edging. 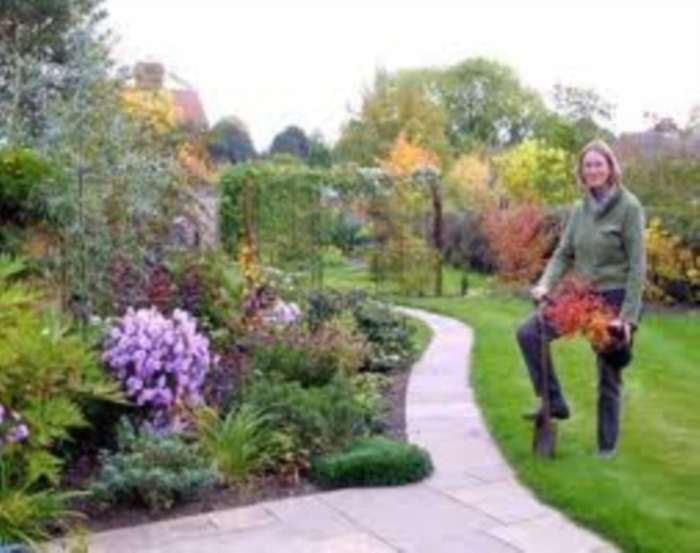 Take a spade and create deeply defined edges around all your trees and flowers beds. - Lighten things up with some solar powered lights and put out some bird feeders or a bird table to encourage wildlife – the children will love it.